"Like a dread spirit he hovered over us", wrote a Soviet poet in 1960, referring to the man whose name is synonymous with Soviet Russia and Communism. 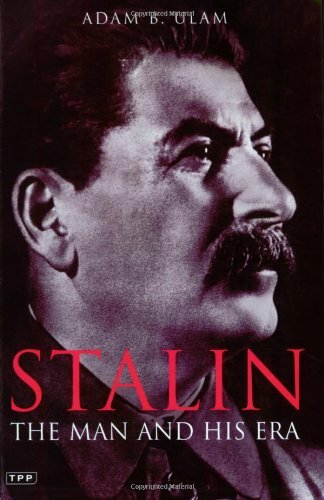 In this, the classic biography of Joseph Stalin, Adam B. Ulam explores the secret of his power, the hold his memory still has over the imagination, the suffering he inflicted upon his own society, the unprecedented triumphs achieved by the Soviet Union under his leadership and the mysteries surrounding his death. Seeking answers not only in the character and life of Stalin himself, but in the history of the movement and society in which his career unfolded, Ulam has produced what is arguably the most incisive and revealing biography of one of history's most fascinating figures. Adam Ulam, 1922-2000, was one of the foremost authorities on the Soviet Union. He was Professor Emeritus, Harvard University, former Director of the Russian Research Center and Gurney Professor of History and Political Science. He wrote 18 books, many of which remain classics in the field, and won several awards for his research, including a Guggenheim Fellowship in 1956, Rockefeller Fellowships in 1957 and 1960, and a lifetime distinguished achievement award from the American Association for the Advancement of Slavic Studies in 1987. He also received an honorary doctorate from Brown University in 1983. He was a member of the American Academy of Arts and Sciences and of the American Philosophical Society.